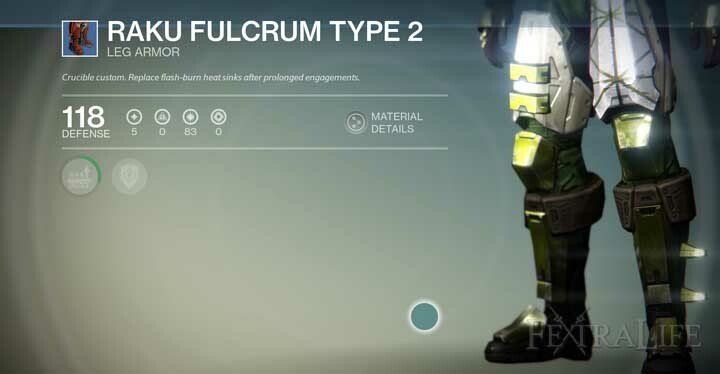 Raku Fulcrum Type 2 is Rare Armor in Destiny. It has several variants that are different in cosmetic appearance. 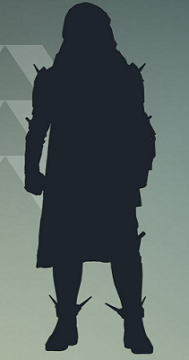 This Armor can be acquired as a random drop in Story Mode, Exploration or Strike. The Armor of each piece will vary based on the level of the piece. 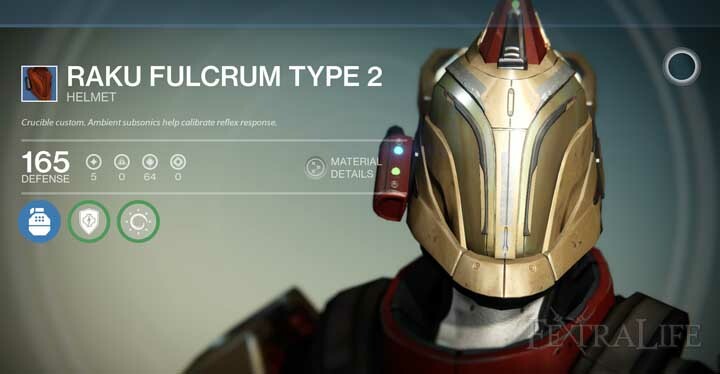 All Rare Armor comes with 2 random Armor Upgrades that pulls from specific pools for each slot. 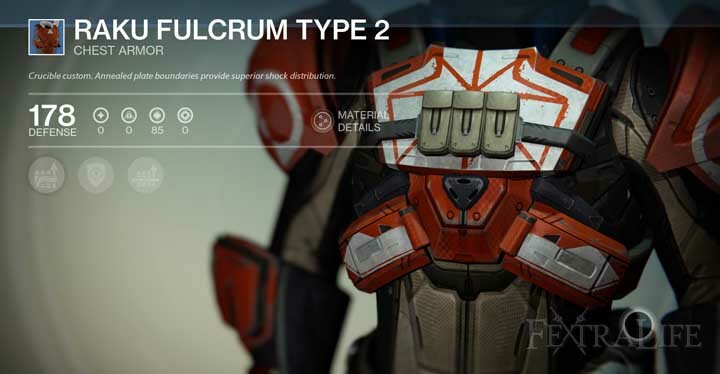 All Rare Armor comes with an Armor Enhancement Upgrade that increases the Armor Value of the piece. All Rare Armor comes with Stat bonuses (at random).